As you all should know, bullying is a very dangerous crime. It effects people and the victim. It occurs every day. 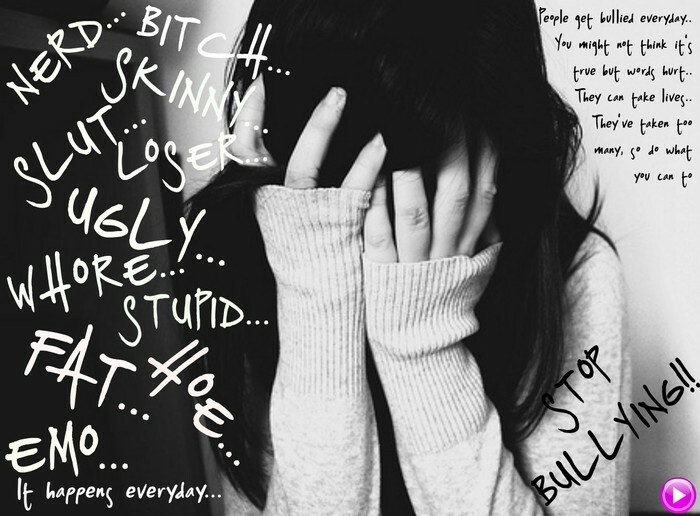 Over 100, 000 people throughout the world get bullied on a daily basis. 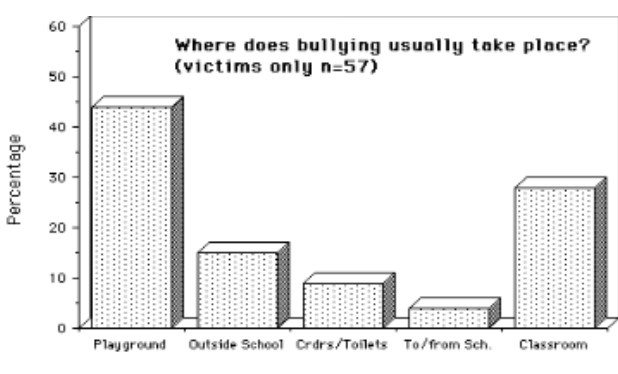 There are many types of bullying, such as; cyber bullying, verbal bullying, emotional and physical bullying . 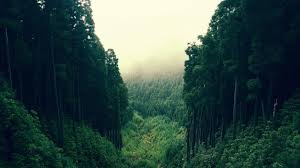 People who bully do It to show off, to make out that they are better then other people and also they do it because there jealous. Sometimes bullying starts as a joke but leads to something more serious. An example is ; someone could send a photo of you to a friend, that photo is a photo of you doing something inappropriate, that photo then makes its way to the internet, meaning the whole world could see it. The next day you go to school, everybody looks at you, it goes on for a couple more weeks, you finally stand up and tell your parents, they get onto this and tell the police, the police find the instigator and the instigator gets charges of going to jail for 12 years. This above is what bullying can lead up to. 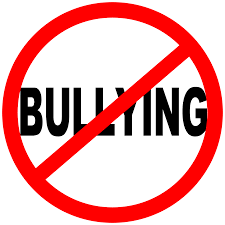 Bullying can start at any age even when you are a fully grown adult who lives in a nursing home. 1. You need to just DONT DO IT!!! 2. If your getting bullied say something. 3. Go to the police and let them sort it out. 4. Go to a person in the position of authority. It happens in schools, work, sports venues, internet, social media and real everyday life. People of all ages are bullys. The people who bully could be people who have not grown up without the best influence from there family. So then they follow in there parents footsteps, and they become gross little children. 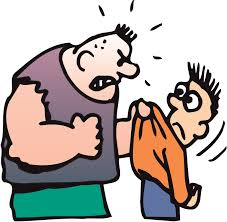 Bullies could be big grown up, big bulk people, who think they are better then people. They have been mislead in there life and they want to take it out on others. 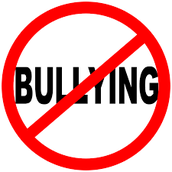 Sixty percent of high school students get bullied.